For a Free Consultation of your Digital Marketing Plan CONTACT US NOW!! Our Goal is to Make You Look Awesome! TriEnna Marketing LLC is owned by Alexis Bach and Diana Bone. We work primarily with small businesses in the Chicagoland area and Northwest Indiana. We specialize in front end web design, social media management, print design & sourcing and brand identity. We incorporated our marketing agency in 2018 with the awareness that 100% of our success depends upon your success. We promise to always go that extra mile to ensure that you are absolutely delighted with your marketing results. We will make you look AWESOME! My passion is graphic design and helping clients deliver their message in the most creative and impactful way. I love to solve our clients’ marketing needs by thorough research; and working with the client—not around them—demonstrating awesome customer service and commitment to excellence. Artistically, the Book Arts and Calligraphy are two subjects I am obsessed about. I am a life-long learner with the bulk of my professional experience devoted to shaping young design minds through mentoring and design education. I have been the Coordinator of the Communication Design Department at ECC as well as a Unit Adjunct II instructor. Freelancing, printing, web design, social media design and my small custom-made Journal business, Journalicious, have allowed me to experience and share the beauty of the Arts, in any form. Most of my time is spent designing, developing and maintaining clients’ websites, blogs, email campaigns and other inbound marketing efforts. I like the creativity and versatility of internet design; developing concepts for clients, and producing a product that exceeds their expectations. Prior to Web Development and Digital Marketing, I worked as a Business Development & Training Manager in the real estate industry and Sales & Marketing Manager in the event planning industry. I love my work, however, my time off is important too! My favorite thing to do is spend time with my hubby, Pete. Together we enjoy attending Bible studies, ballroom dancing, and helping out with our family’s business Sweet Day Gourmet. 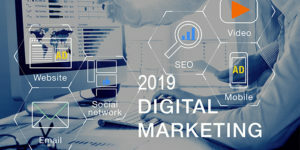 What made you decide to focus on Digital Marketing? Marketing and graphic design have always gone hand-in-hand. Alexis Bach is graphic design and Diana Bone is sales & marketing. 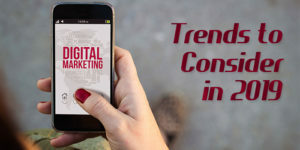 In the world today, Digital Marketing is the BEST way to reach potential customers. What is Better, SEO or SEM? They're both important. Optimizing your website (SEO) creates organic traffic to your site. This is absolutely necessary. Search engine marketing (SEM) brings traffic to your website through paid online advertising. When you hire TriEnna Marketing to develop your brand identity, we collaborate with you to create a consistent message, look and feel of your brand. Through logo design, color scheme, tagline, website social media, print materials, advertising, etc. your brand is established. Do you offer Digital Marketing packages? Yes! We have pricing on our website, however we also work with clients based on their individual needs. Can you manage Facebook and other social media platforms? Yes! This is one of our specialities. We create postings with unique graphics, hashtags, links, as well as paid ad campaigns. We offer social media page development and account management. What is the most recommended change to an existing website? The answer to this question in one word: RESPONSIVE. The first step is analyzing your website. Is it mobile responsive, up-to-date and user friendly? We then review your content, imagery and SEO. How to you figure out SEO? 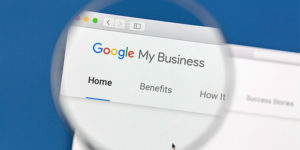 We base our SEO on Google algorithms, which are always changing. Great content, new content, keywords, meta tags, links, imagery, video, website responsiveness and user experience all factor in developing SEO. 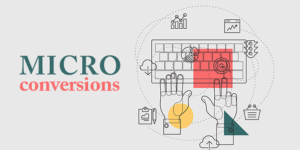 What Are Micro Conversions and Why Do They Matter?